Seeing people discover new ways to use sugru always gets us excited and some of the most creative ideas come from jewellery makers. The handmade jewellery scene has really found it's home online in the last few years, with sites like Instructables, Cut Out + Keep, Zibbet and Yokaboo and of course Pinterest are helping people share, inspire and sell their creations. sugru is great for jewellery projects as it bonds to most materials, and unlike glues and epoxy it's easy for anyone to form by hand. It will bond almost any materials together and can help fill weird gaps that glues can't. You can even mix up sugru packs to make new colours to find just the shade you want! 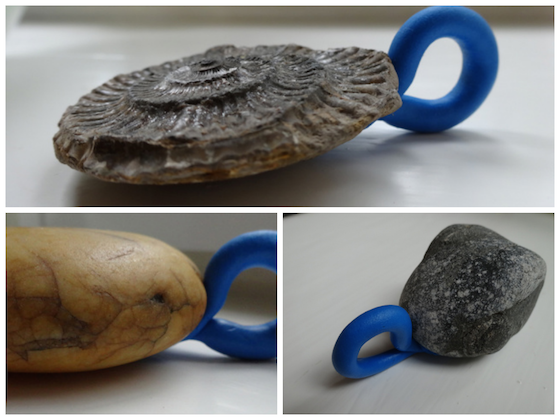 Take a look at these amazing ideas from sugru-ers around the world, who are finding new ways to use sugru in their creations! 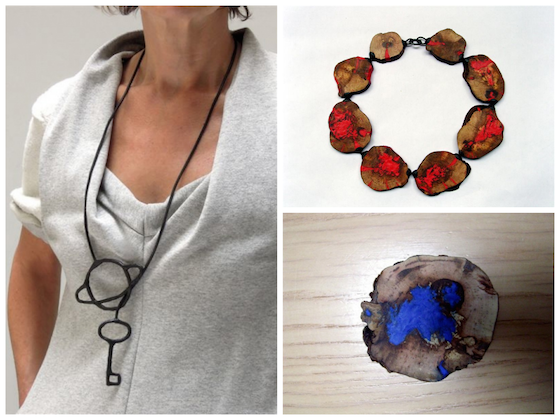 Maria uses sugru as both a decorative tool and a way of making her jewellery. These pieces have been made using cross sections of old vines, with bright red sugru in the cracks, making some really fascinating effects — beautiful! 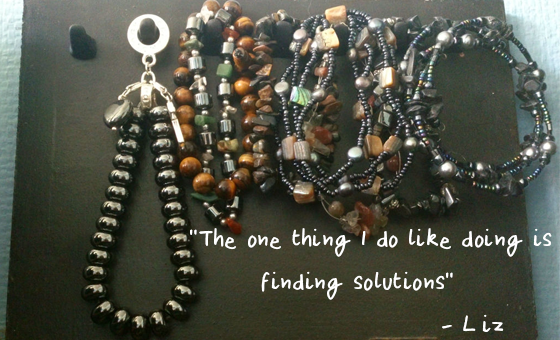 Check out Jane's post about Maria's contemporary jewellery. Lily used sugru to make some incredible authentic jewellery to accompany her outfit for a steampunk wedding she was attending! She made her steampunk brown shade from 60% yellow, 30% red and 10% black sugru. Jennifer used sugru as a tidy adhesive instead of the usual glues that have proved messy for this use. 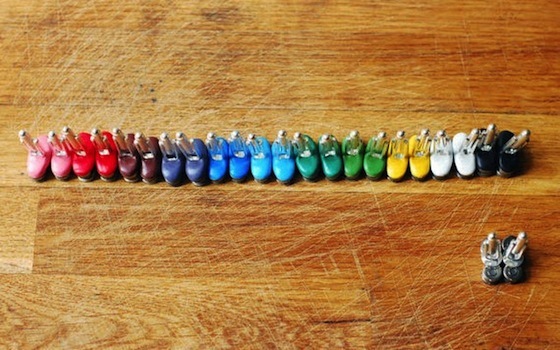 She has now made some beautiful pendants in what is now a tidy and simple process! She also used sugru to strengthen edges by smoothing some along them. 4. 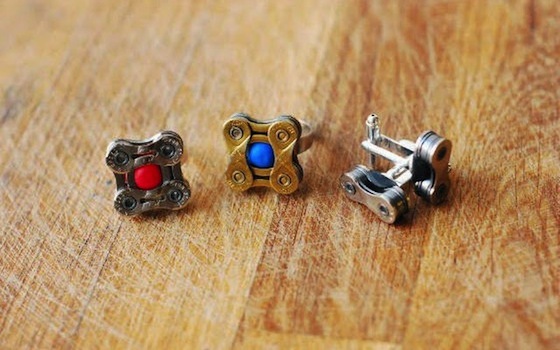 Use old bike parts to make jewellery! Katie Wallace has a mission: "to re-purpose used stuff to create bespoke products. The vision is to save all bicycle waste from landfill (whoa!)." If you love being resourceful then you will enjoy Katie's Bike! If you are unsure about colour mixing with sugru then check out our colour chart on our 8 things you need to know as a sugru-er! 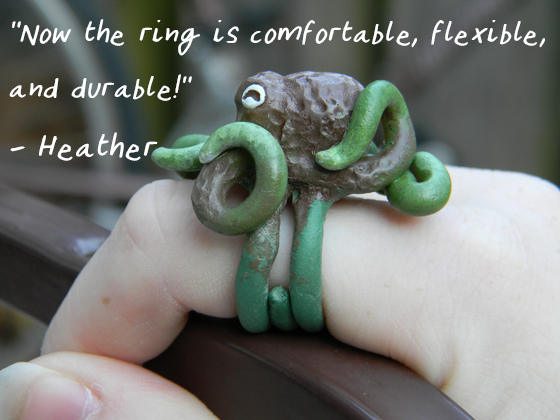 Heather sculpts jewellery out of Sculpey and way struggling to find a way of making the ring without the bottom tentacles breaking. sugru was the perfect solution as she was able to mix a colour that she liked to sculpt the tentacles directly onto her piece! sugru-er Jasper made some incredible creative cufflinks using some sugru and two five pence pieces. He's even written a step-by-step guide to help you create your own unique cufflinks! Kellee is an illustrator and painter who makes beautiful wearable objects out of her creations. "I found that I only needed a tiny bit of sugru to cover the fixing. I tested it on one of my brooches and left it overnight to cure. I thought about it a lot... I think I may have even dreamt about it!" 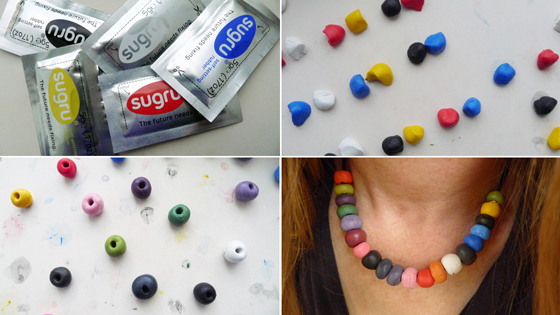 Find out how she's used sugru to attach jewellery fastenings neater than glue. 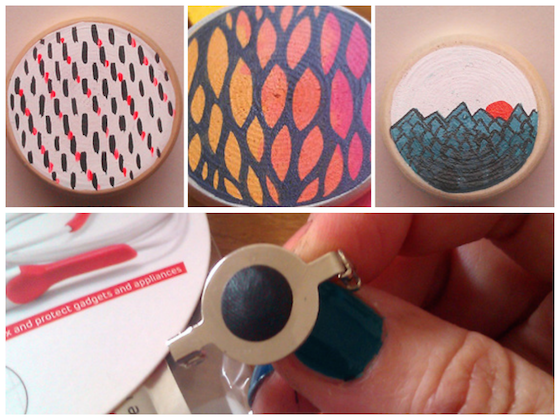 Antenne was experimenting mixing up her sugru packs and discovered she could create her own colours! "The best things happen by accident!" She used a knitting needle to make little holes and then threaded them up on a necklace to let them cure, and by morning... voila beads! 8. Make awesome ear tapers! 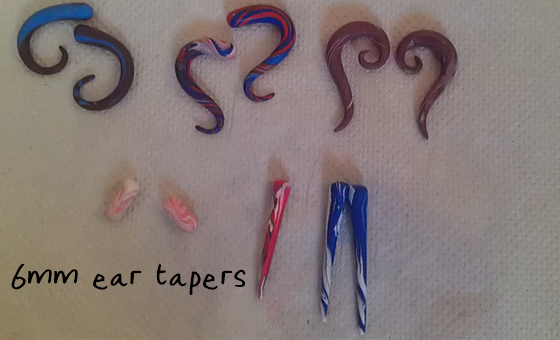 Creative sugru-er Fay made some amazing 6mm ear tapers, making some seriously cool effects with different colours! Remember cured sugru lasts and lasts and is incredibly durable, so for the small cost of a pack of sugru these tapers are a fun and creative way of making a long lasting product! 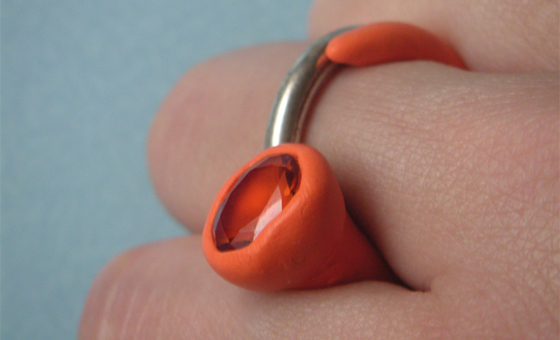 Rebecca used a pack of sugru she received for Christmas to add a gemstone to her ring. "It holds a stone and sticks to silver....bonus!" This is a great way of creatively using any left over sugru you may have. PRO TIP: If you keep sugru in the fridge, you can triple the number of months you have left! Juliette made an charm based upon a Pokemon alphabet, making the letter J as her initial! 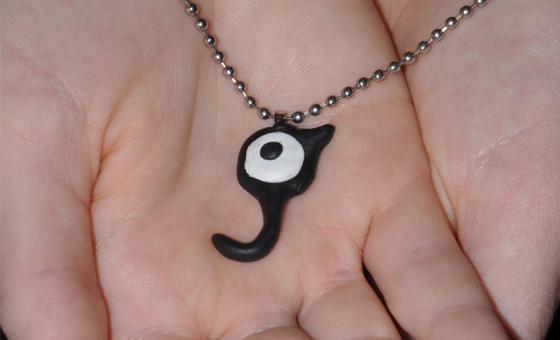 Juliette used black and white sugru and wrapped it around a bent paper clip to hang it from a necklace chain. If animation is your thing, then you're going to love the adventures of Morph Jr! Puja used sugru to make a monochrome custom accessory, but this could be made using a variety of colours. Check out her post on how to make an awesome contrast bracelet! sugru isn't just a tool for fixing, it is also a popular tool for craft-making. 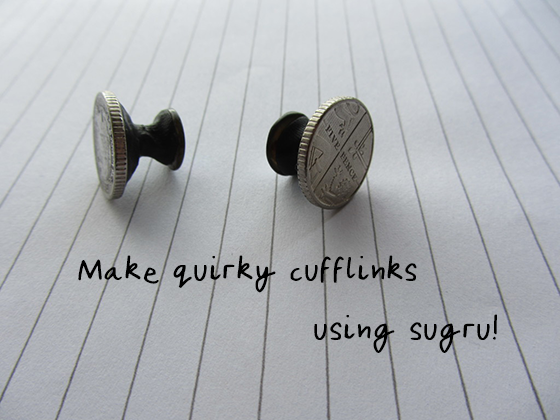 Check out the ' craft & making' page to see lots of other ways sugru can be used creatively! 13. Customise your storage box for your jewellery! Liz likes being innovative and she is particularly crafty when it comes to hacks! She had a plain wooden box that was given to her previously which she stores her jewellery in. She found that her necklaces and bracelets tend to get tangled up, so she used some screws and some sugru to change this! "Overall this was a fix that was rather organic in it's making rather than a fully planned out endeavour from the start". She started off by using only screws, however she found them to be rather garish and the screws did not quite stick out far enough. This is where sugru came in handy as she used it to elongate the pegs she was making and create a better surface for the jewellery to hang from. 14. 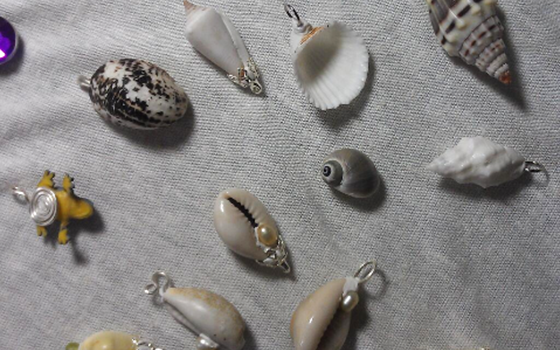 Make beautiful travel jewellery! This sugru-er loves to turn objects found on her travels into jewellery, so much so that she is adding sugru to her mix of tools that she takes along on her next trip. She has made two pendant fossils from Robin Hood Bay on the North Yorkshire Coast of England and a pendant made from a stone from Yasothon in Thailand. "Twenty-four hours later, I was wearing my locally sourced, one-of-a-kind necklace into the Jewellery Exhibition at the Victoria & Albert Museum - I felt right at home!" If bold jewellery isn't to your taste sugru might still come in handy when it comes to fancy-dress, particularly at Halloween like sugru-er Jules has! "I made a great Halloween accessory by putting lizard taxidermy eyes onto sugru balls that were mounted on earring posts, then sculpted sugru eyelids on them. 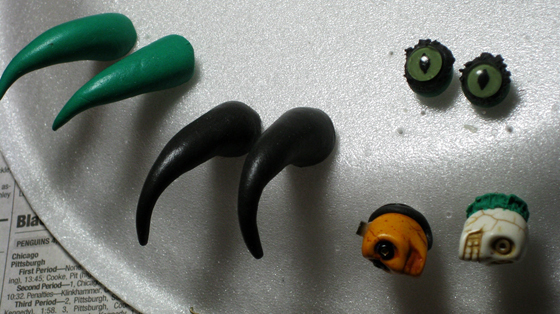 For "regular" earrings, making a bit of sugru around the base hides the glue-line as well as being decorative. I love this stuff!" If you're looking for more inspiration, head over to our Craft & Making section from other ideas from the sugru community or check out 20 ways sugru can improve your crafting kit.